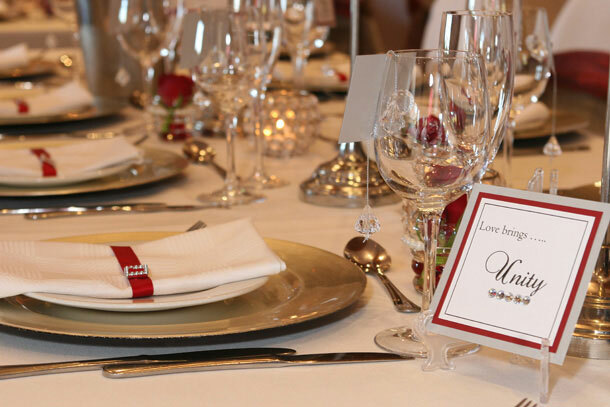 Once the actual wedding ceremony is at an end and the guests make their way to the seated dinner venue, one usually finds a seating plan at the entrance of the wedding reception venue showing where each guest will be seated. I went to a gorgeous wedding in April and saw this great idea of giving each table its own name instead of using something less personal like table numbers 1, 2, 3 with a list of the guest names’ below. 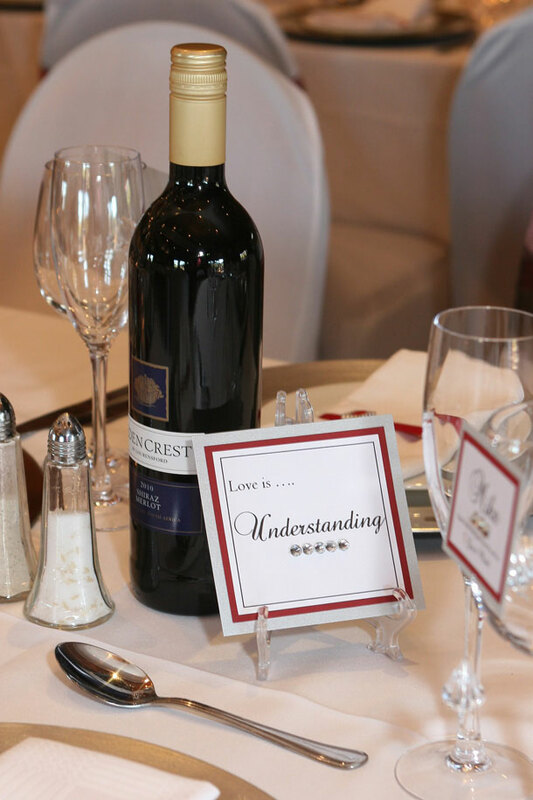 At this wedding they used a linked theme entitled “Love is …” and then they gave each table its own word. “Love is … Harmony”, “Love is … Understanding”. It was nice to be able to clearly distinguish your table as you walk around the venue admiring all the hard work that has gone into the design and décor. You also get a chance to see what all the other tables are saying and it makes for a great centre piece and polite conversation as you familiarize yourself with the space and guests you will be meeting for the first time. I found this both original and it added a personal touch that made me feel both acknowledged and truly connected to the bride and groom on their special day. I believe that it is all about the detail! *Just a Note: When you create your table theme, make sure you stay true to your overall wedding theme so that the whole story ties in and makes sense. Stay away from Random things. Hi, I love this Idea about the table seating having “Love is …. Please could you give more information regarding same table seating.